Market value increased by €1500. “Poorest” family farmers locked out of Glas scheme. The maximum valuation for a pedigree bull under the TB market valuation scheme has been increased to €5,000. 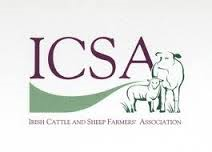 Issues surrounding farmers not being permitted to buy in livestock where there is a TB outbreak continues to be a sore point with them, says the association. In Sligo, Fianna Fail Councillor Eamon Scanlon has accused the Minister for Agriculture Simon Coveney of eliminating badly off family farmers from the Glas scheme. He said that “around 2,500 farmers across the country have been excluded from the environmental programme, despite the majority of them being on low incomes. “This is further proof, if any was needed, that Minister Coveney does not understand the challenges facing small farmers,” Scanlon said in a statement. “His management of the GLAS scheme has ensured that the bigger and better off farmers have been approved for payments, while excluding farmers whose land quality is not as good as those in Tier 1 and Tier 2.